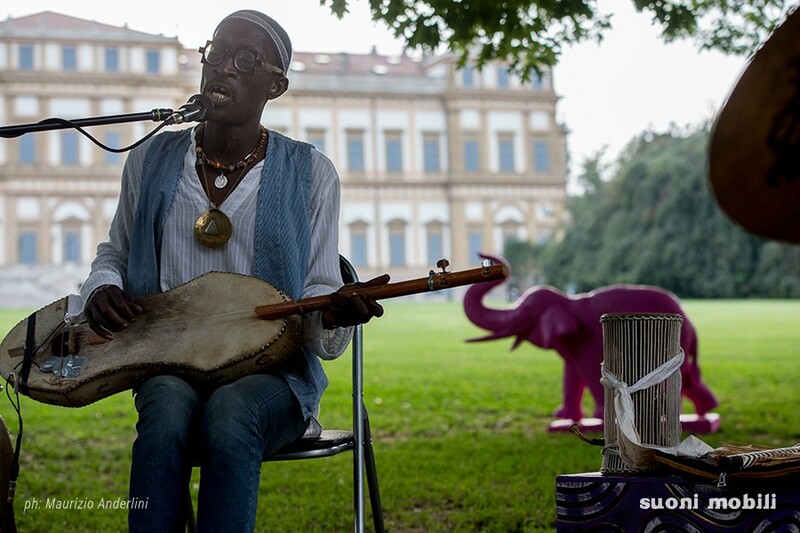 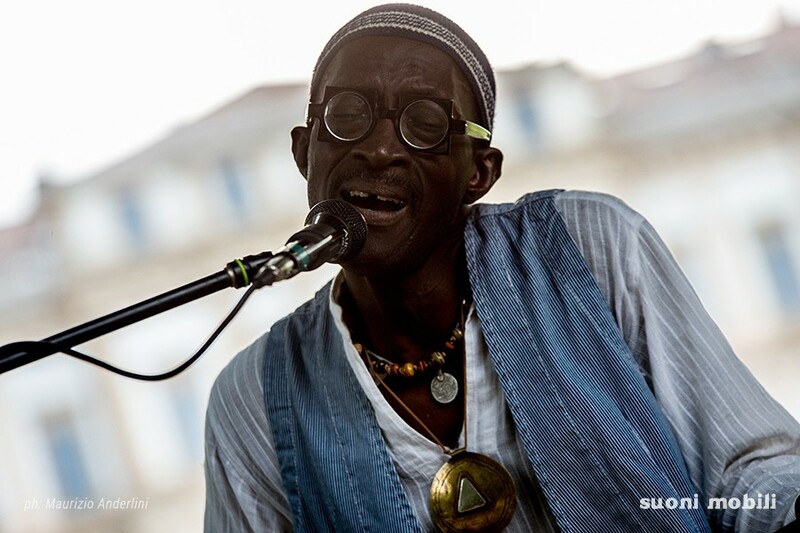 Mohamadou Kouatè, in arte Dudù, griot figlio di griot, custode e erede di una tradizione millenaria che ha portato in Italia, sbarcando a Messina nel 1988, musicista dalle doti eccezionali, membro stabile dal 2017 dello storico Art Ensemble of Chicago, racconta, soffia, canta, percuote e suona i suoi mille strumenti con i quali ci conduce in un viaggio alla radice dei suoni degli elementi della terra. 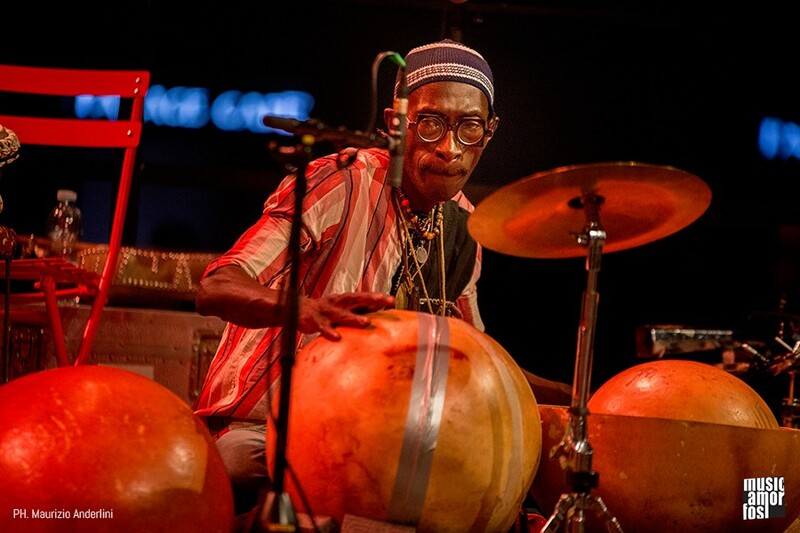 Mohamadou Kouaté, a.k.a. 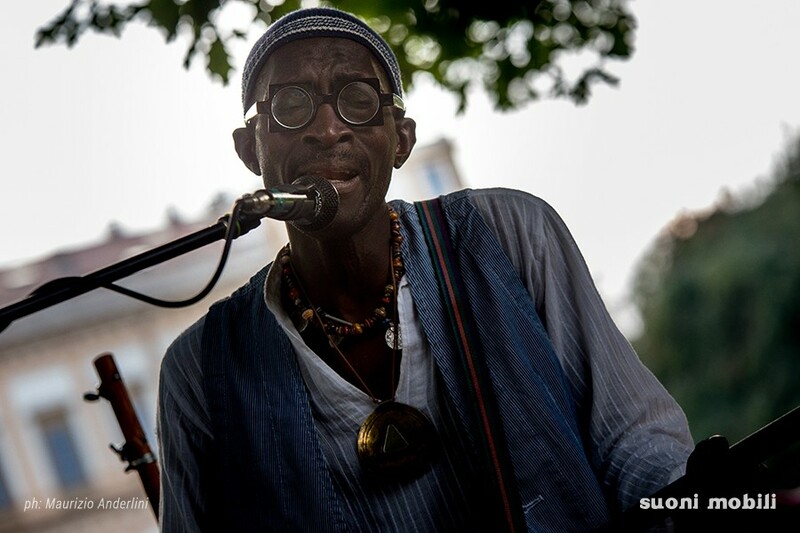 Dudù, was born in Senegal in 1963. 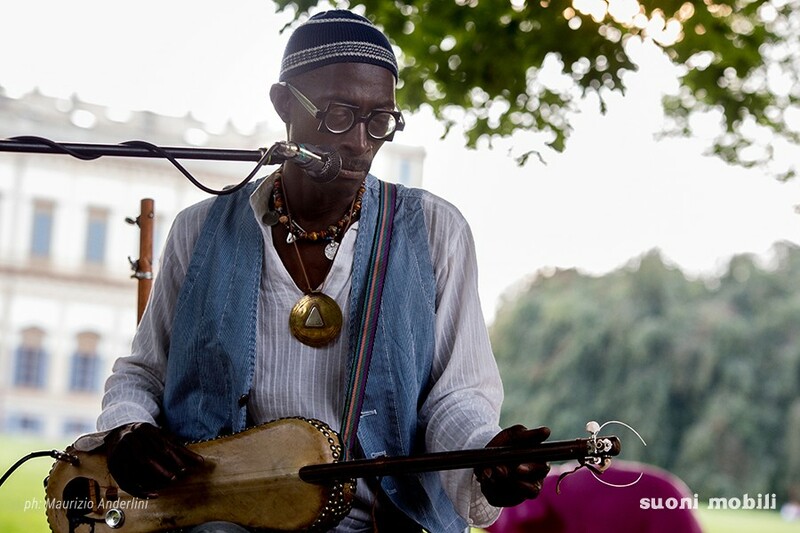 He is a Griot, son of Griots, the heir and custodian of ancient traditions which he brought to Italy when he arrived in Messina (Sicily) in 1988. 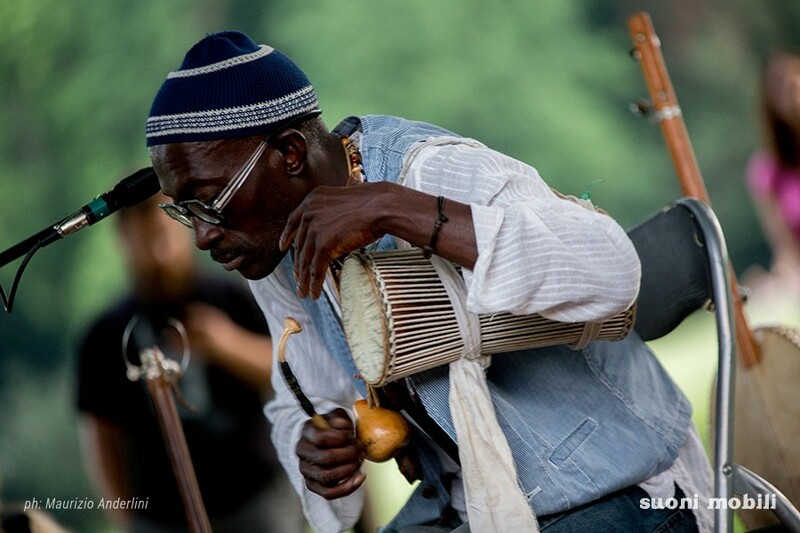 He is an exceptional musician, permanent member of the historic Art Ensemble of Chicago since 2017. 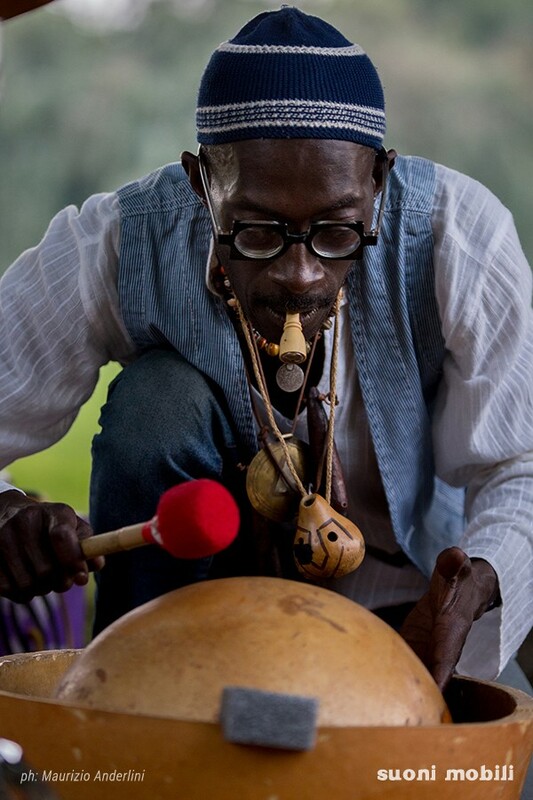 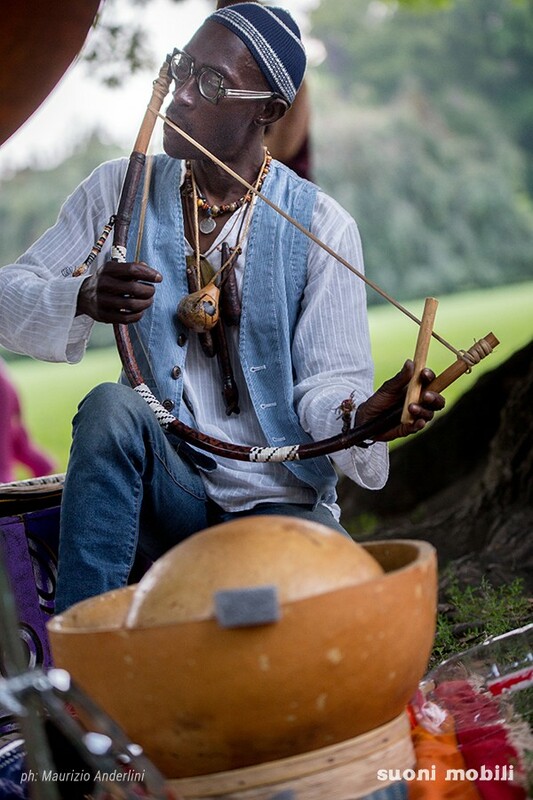 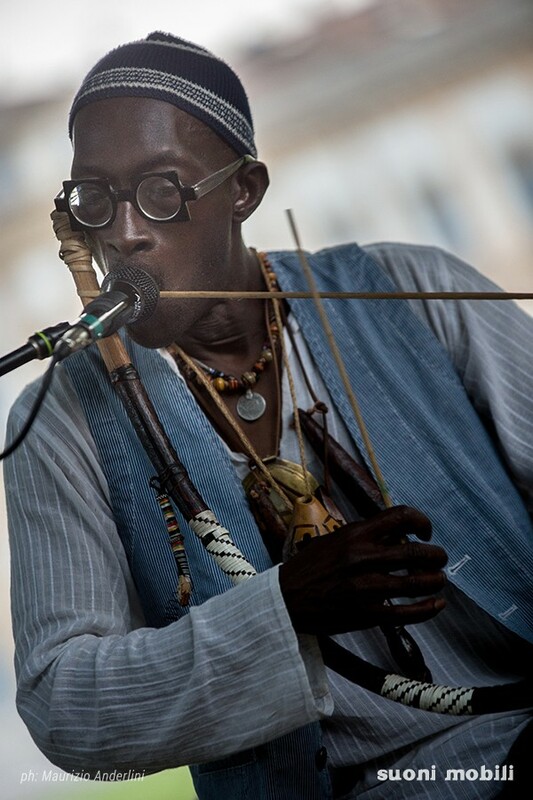 Dudu’ is an incredible story teller and he can sing, play, beat on and blow into thousands of different instruments taking us on a journey to discover the roots of sound. 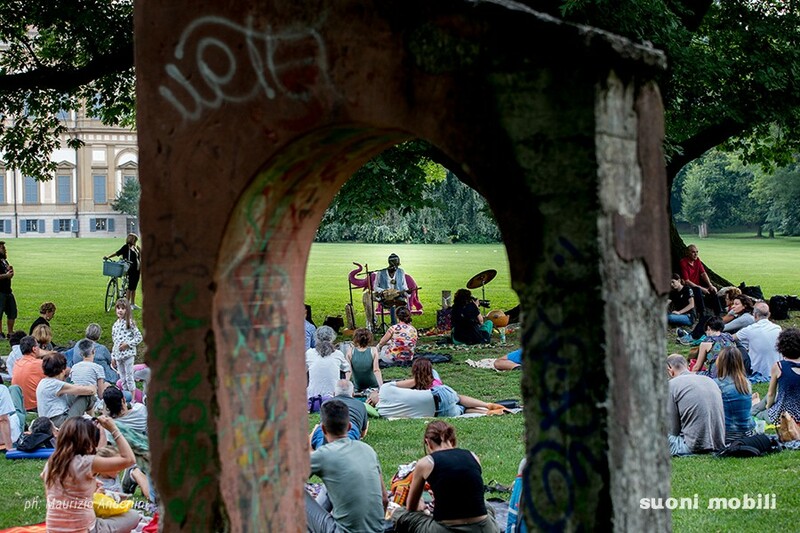 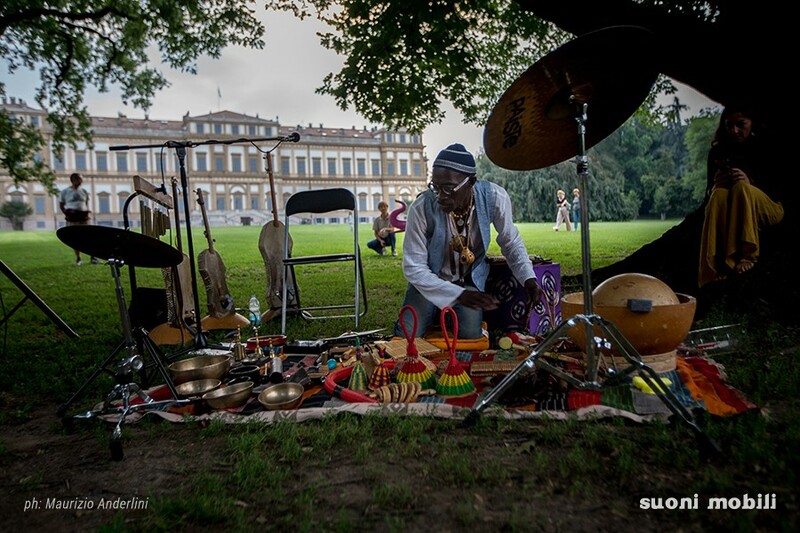 He lives in Bergamo where he has been teaching African percussion, holding workshops, participating and enjoying the ethno jazz scene. 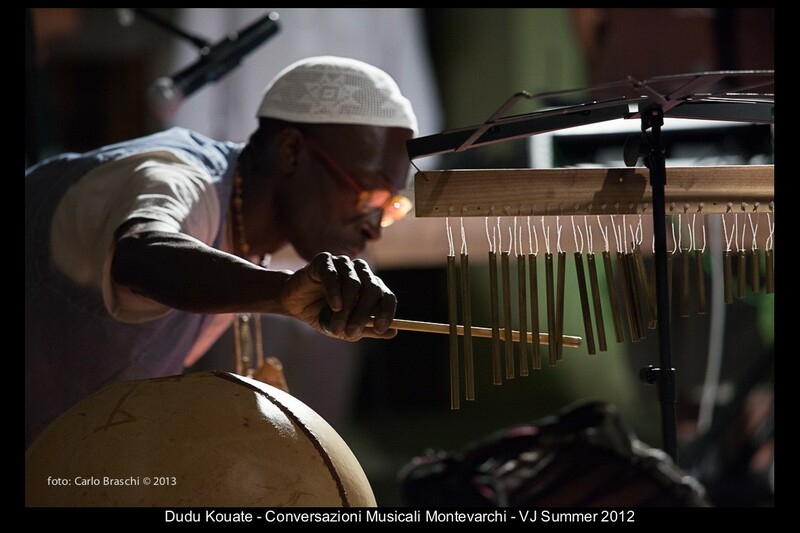 He collaborates with renowned musicians such as Arsene Duevi, Enzo Favata, Eloisa Manera, Massimiliano Milesi, Guido Bombardieri, and recently he premiered at LAC Lugano alongside with Giovanni Falzone. 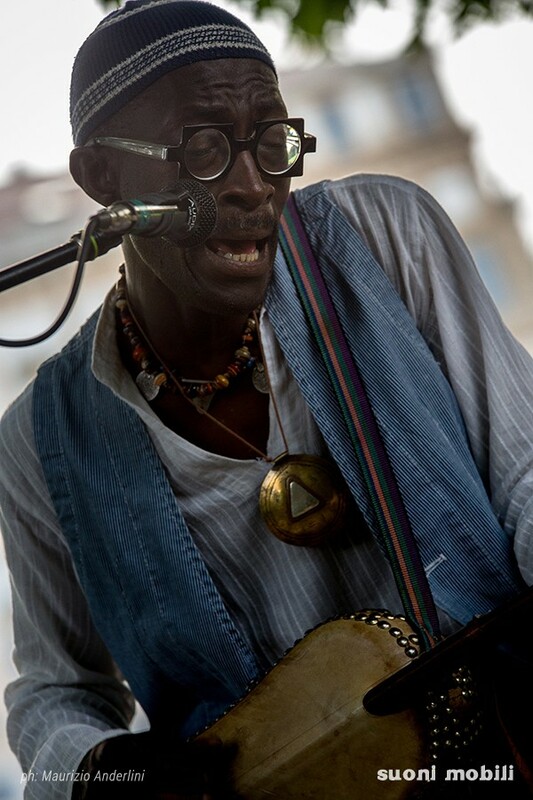 Mohamadou Kouatè, in art Dudù, born in Senegal in 1963, is a griot son of griot, custodian and heir of a thousand-year tradition that he brought to Italy, disembarking in Messina in 1988. 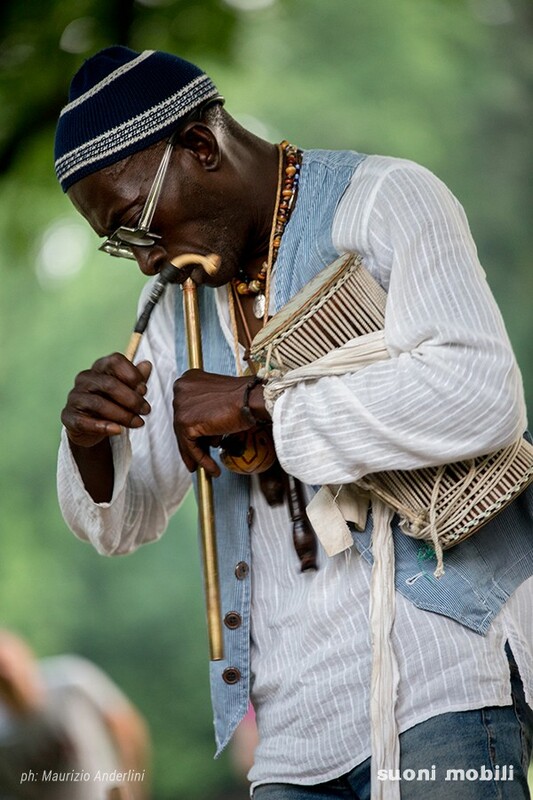 Exceptional musician, stable member since 2017 of the historic Art Ensemble of Chicago, is able to tell, blow, sing, beat and play thousand instruments making us fly on a journey to the root of sounds. 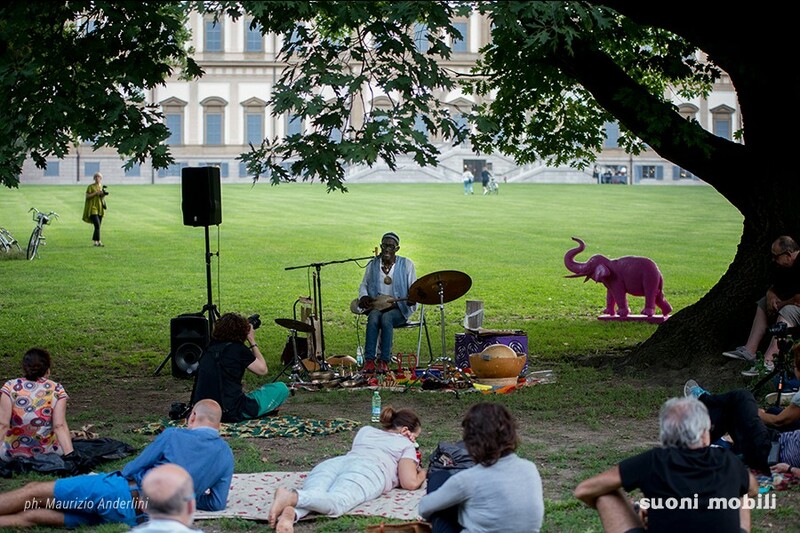 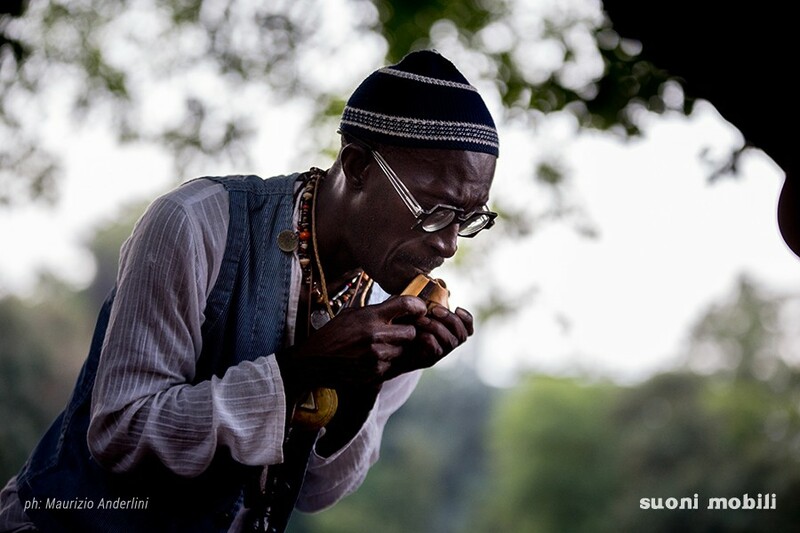 He lives in Bergamo where has been teaching African percussions, holding seminars and enjoying and living the ethno jazz scene collaborating with musicians such as Eloisa Manera, Massimiliano Milesi, Guido Bombardieri, and lately he premiered in Lugano LAC along with Giovanni Falzone. 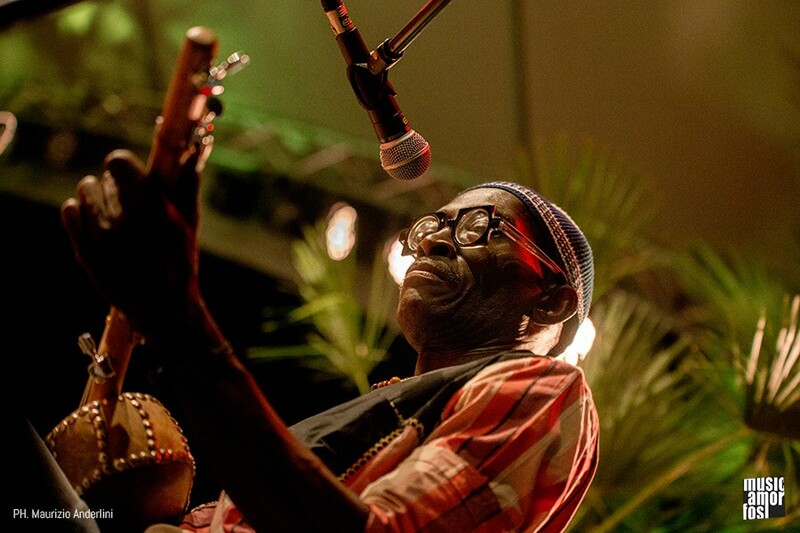 Mohamadou Kouatè, na arte Dudù, nascido no Senegal em 1963, é um griot filho de griot, guardião e herdeiro de uma tradição de mil anos que ele trouxe para a Itália, desembarcando em Messina em 1988. 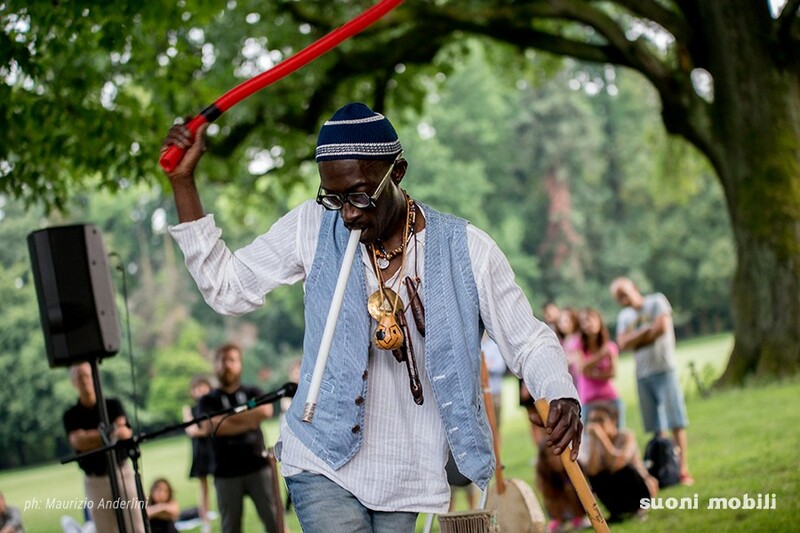 Músico excepcional, membro da historical Art Chicago Ensemble, é capaz de dizer, soprar, cantar, bater e tocar milhares de instrumentos, fazendo-nos voar em uma jornada para a raiz dos sons. 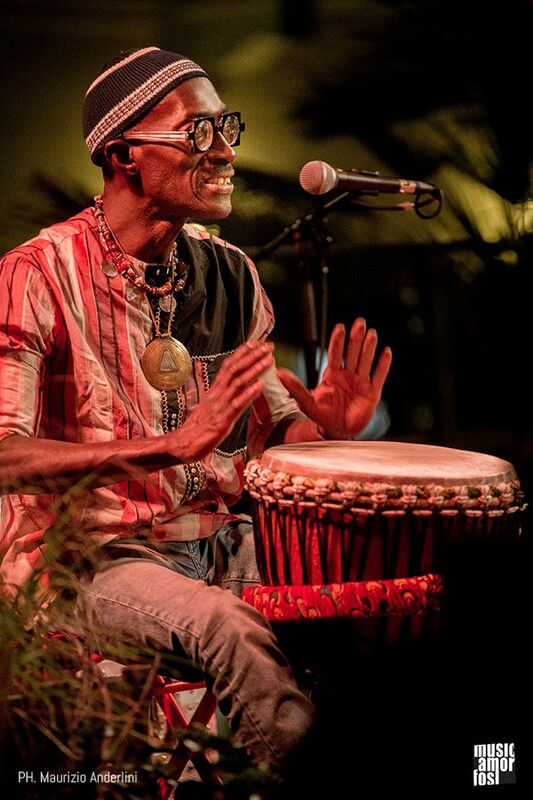 Ele mora em Bergamo, Italia aonde ensina percussões africanas, organiza seminários, aprecia e vive a cena etno-jazz colaborando com músicos como Eloisa Manera, Massimiliano Milesi, Guido Bombardieri, ele estreou em Lugano LAC junto com Giovanni Falzone.